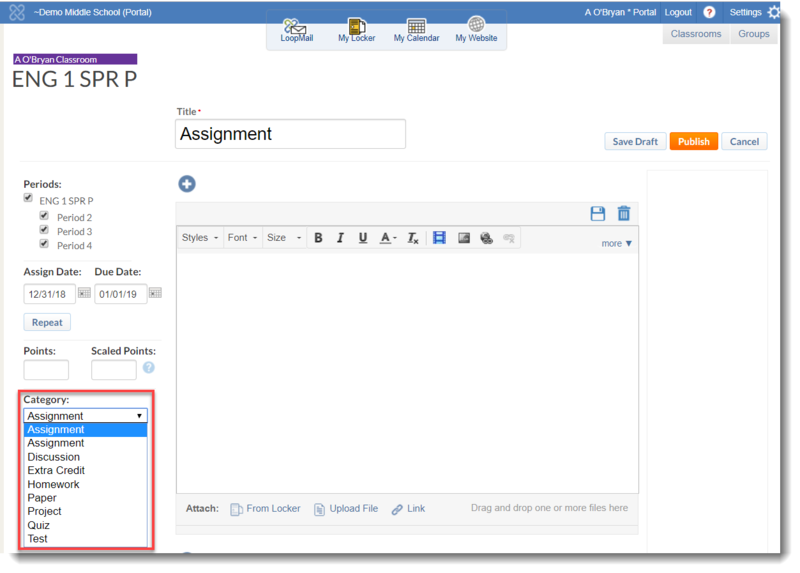 When publishing assignments for students in School Loop Plus, the use of categories provides an additional descriptor for students and parents. 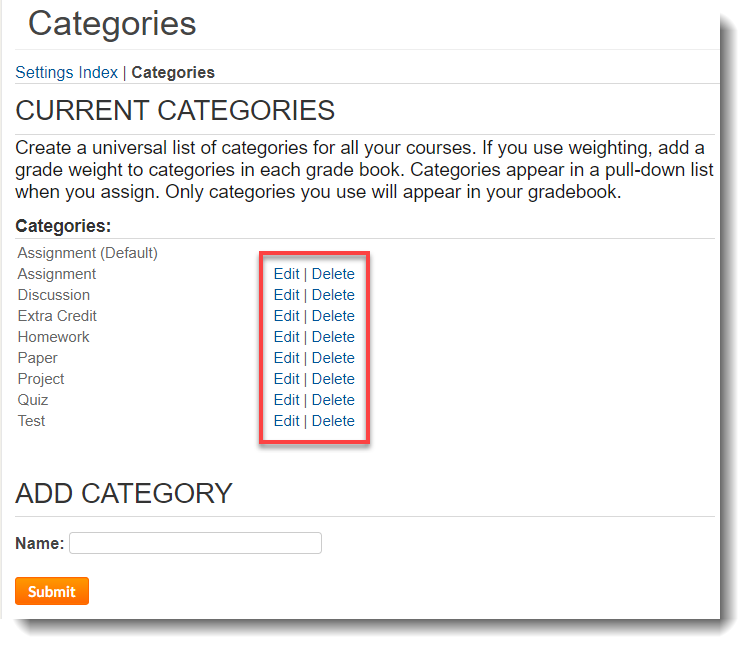 For those teachers using School Loop's Gradebook who also choose to use weighting, the use of categories is required. An added benefit of using categories is that the School Loop Gradebook displays student performance by categories, even if weighting is not used. For more information about this benefit, see our help pages about the Gradebook tabs for All Grades and Published Grades. Although your Gradebook comes with several preset categories, you may add, edit and delete categories as desired. There are no restrictions on the use of categories. 1. Log in to your School Loop account and click the Settings button or the gear icon at the top right of the page. 2. Click the Go button for Categories (Universal). 3. Click to Edit or Delete any of the preset categories, if desired. 4. To enter a new category, type in the name and click Submit. When publishing assignments for any course, your universal list of categories will be available in a drop-down menu on the Add Assignment form.